Two (2) winners will be chosen randomly from all entries received. Winners will receive a paid trip to Austin Texas between April 11 and April 14. This includes a flight for 2 to Austin TX, hotel room for 2 for 3 nights, tickets to the event, and a 20 minute meet-n-greet with Dainese athlete Valentino Rossi. Winners will be notified by March 18th. 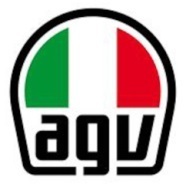 Place an order for any Dainese or AGV Helmet product between February 15 and March 15, 2019 to be automatically entered to win. Winner must remain on the MotorcycleGear.com email marketing list through the selection of winners (March 18th) to be eligible. Click here to see the official rules in full detail.